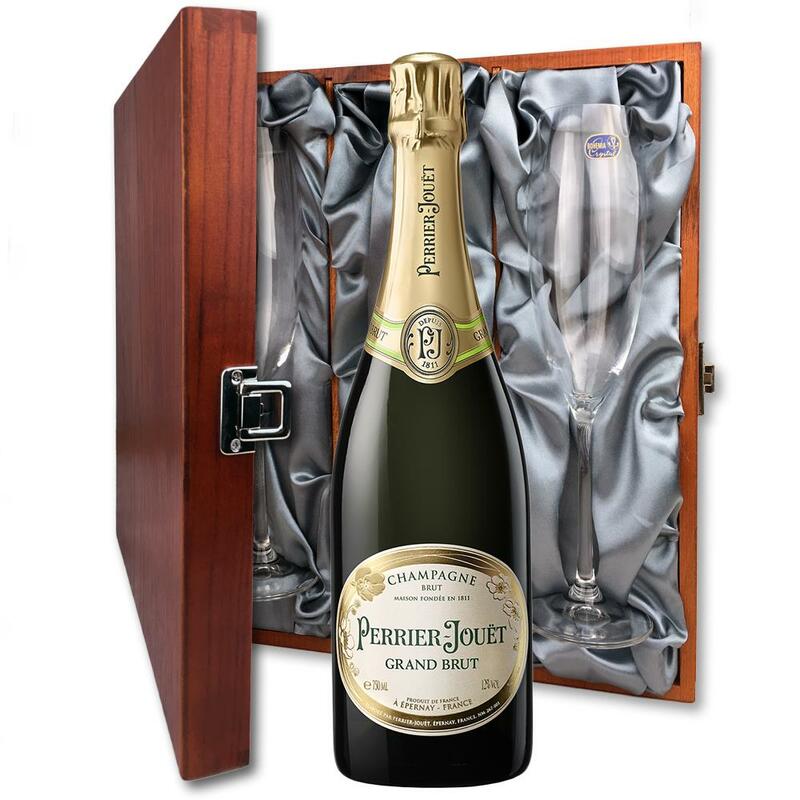 A single bottle of Perrier Jouet Brut Champagne Bottle with two beautiful Champagne flutes presented in an alluring wooden case with hinged lid. 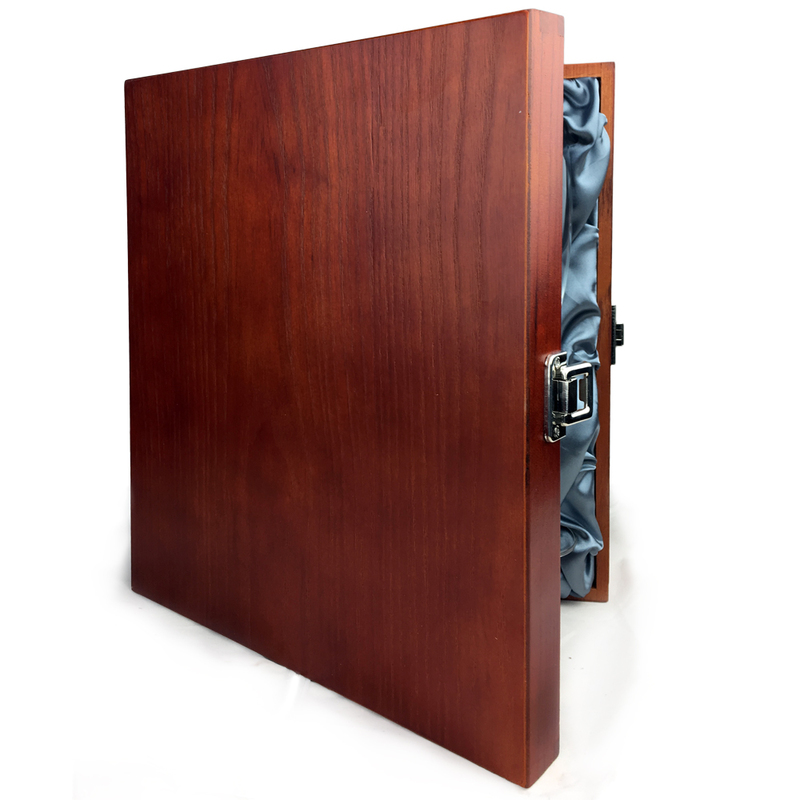 The case is made from wood, which is beautifully complemented with stainless steel hinges and clasp. This case adds the ultimate luxury to any gift and is delicately lined with silver satin. Perrier-Jouët Grand Brut is a champagne based on classic French sparkling wines. Beautiful and elegant, it's the ideal aperitive but also a great companion for light meals such as root vegetables or even fruit desserts and chocolate. Perrier Jouët invested all his love into the art of making using only grand crus and premier crus for this blue-blooded Perrier-Jouët Grand Brut. Presented in a gift box with the option to include a personalised gift card message.